Your donations help us provide shoes, clothing and other basic necessities to disadvantaged men, women and children in African countries. Currently, all monetary donations are used for shipping costs to Africa. Please help us with our mission of "Changing the World Two Feet at a Time"
Collect and package new and gently worn shoes from the area you live in and ship them to us. 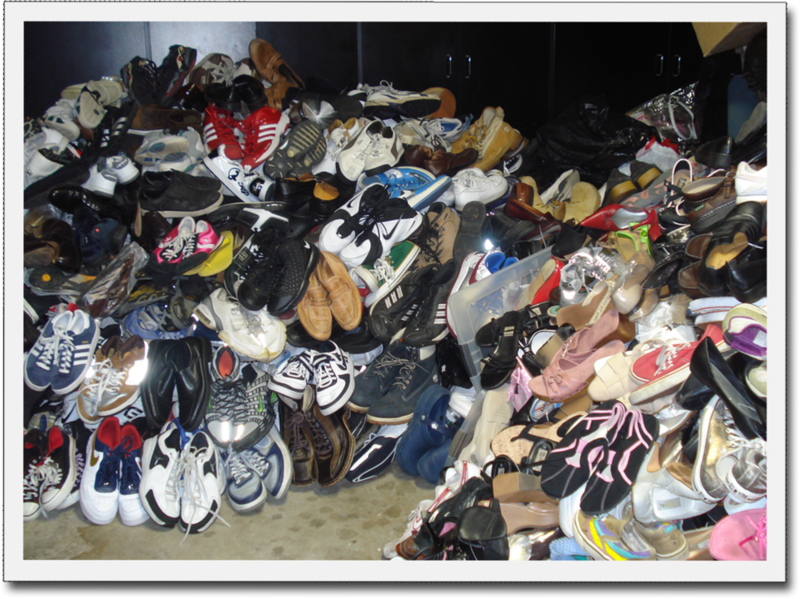 If you live in the Los Angeles area you can contact us and arrange for a shoe pick up. Download the free Shoes for Africa flyer for your shoe drives! Please download and fill out the following forms in order to grant the ASHE Foundation the rights to use your photographs.